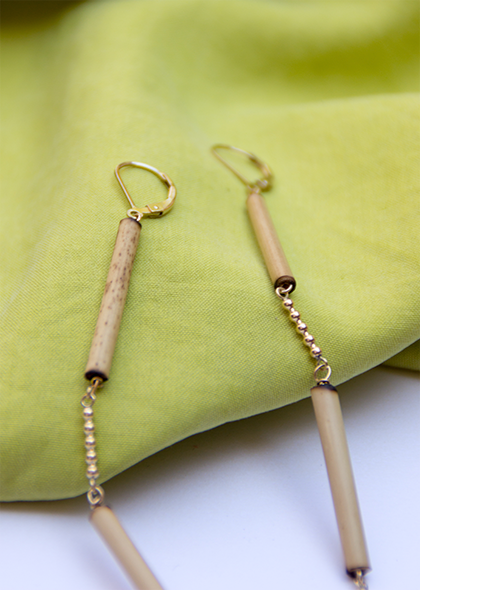 Long earrings made from bamboo with gold-filled* accents. 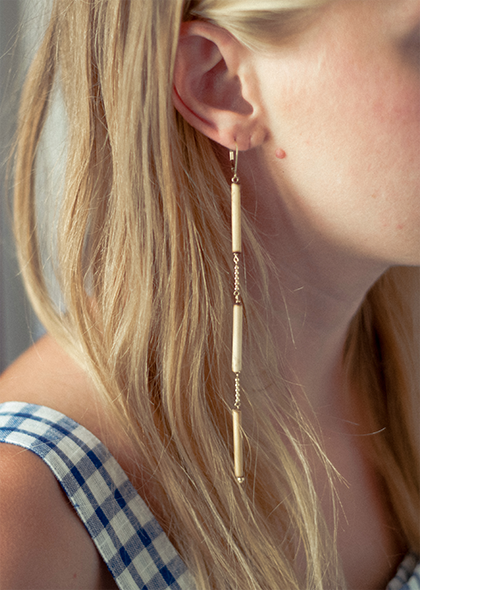 They measure 14cm in length. 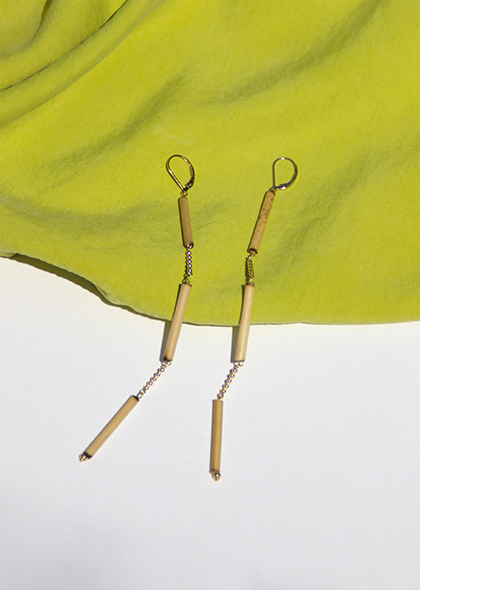 All bamboo sticks are natural and therefore unique; they can slightly vary in color.